Wade Thompson and Peter Orthwein founded Thor Industries in 1980 with the purchase of Airstream, an already iconic brand. Since going public in 1984, Thor has grown both organically and through strategic acquisitions in both recreational vehicles (RVs) and buses. Today, Thor is the sole owner of operating subsidiaries that represent some of the world’s largest RV manufacturers. Thor Industries Inc. was founded on August 29, 1980 when Wade F.B. 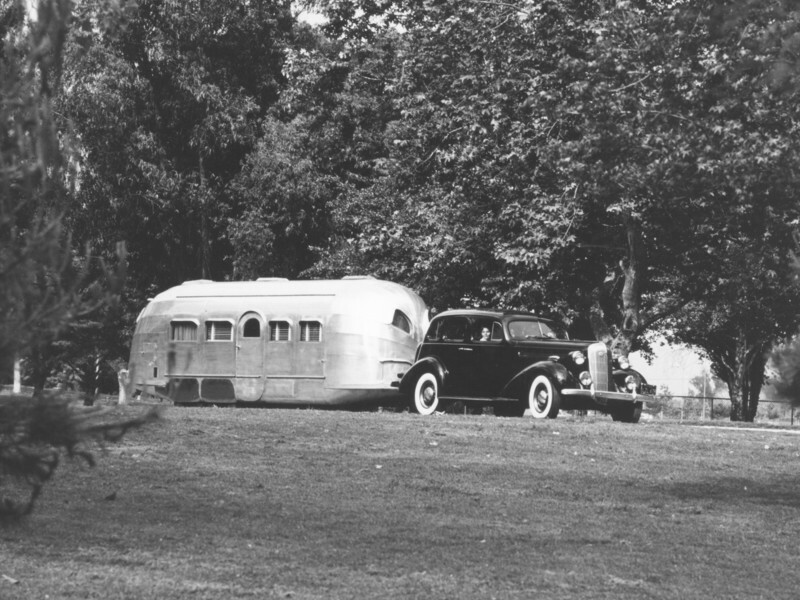 Thompson and Peter B. Orthwein acquired Airstream, the most recognized name in the industry. Despite its venerable image, Airstream had not fared well during the economic downturn of the late 1970s. By focusing on improving quality while reducing costs, Airstream returned to profitability in its very first year under the new Thor management. Thor was strong enough to purchase the Canadian company General Coach, a manufacturer of travel trailers and fifth wheels. Thor became a public company listed on the over-the-counter market. 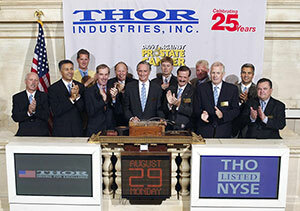 In 1986, Thor was listed on the New York Stock Exchange. That same year, Forbes Magazine ranked Thor sixth out of the "200 best small companies in America." Thor entered the small and mid-size bus industry with the acquisition of ElDorado Bus. In 1991, National Coach was purchased and the two companies operated under the ElDorado National trademark, with plants in California and Kansas. 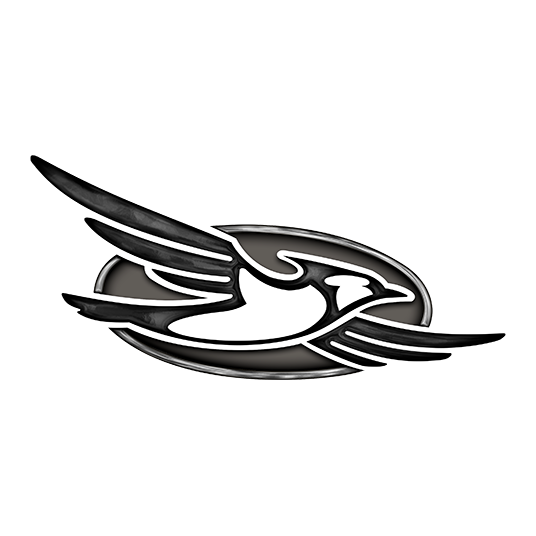 Thor acquired Dutchmen Manufacturing, now one of the leading brands of travel trailers and fifth wheels. Four Winds International, a manufacturer of Class A and Class C motorhomes, was acquired in 1992. Komfort Corporation, a builder of travel trailers and fifth wheels, became part of the growing Thor family in 1995. Thor California was a start-up in 1996, which became one of the most successful RV start-ups. Thor solidified its leadership in the bus industry with the acquisition of Champion Bus. When Thor acquired Keystone RV in 2001, the company achieved an unprecedented dominance within the RV industry. Thor acquired Damon, a manufacturer of Class A motorhomes, raising its profile in the growing motorized RV market. In that same year, Thor acquired Breckenridge, builder of park trailers. With the addition of Crossroads RV in 2004, Thor solidified its industry leading position in towable RVs. Thor acquired Goshen Coach to round out its holdings in the small and mid-size bus industry. In September 2010, Thor made its largest acquisition to date when it purchased Heartland RV Company, further cementing its companies’ combined position as the world's largest producer of towable RVs. In March 2010, Thor acquired SJC Industries, Inc., the second largest ambulance manufacturer in the United States. Thor made two strategic acquisitions in the luxury bus market when it acquired Krystal Infinity, LLC in September, and the bus operation assets of Federal Coach in December. Both purchases have enabled Thor to expand its bus business into the luxury coach market. Thor acquired the net assets of specialty trailer manufacturer Bison Coach through a wholly owned subsidiary. Founded in 1984, Milford, Indiana-based Bison is known for its rugged, high-quality and affordable specialty trailers. In 2003, Bison began adding living quarter conversions to their production process resulting in the development of a complete line of equine trailers with living quarters. Thor exited the bus industry when it sold its bus business to Allied Specialty Vehicles. Thor's bus business included Champion Bus, Inc.; General Coach America, Inc.; Goshen Coach, Inc.; ElDorado National (California), Inc.; and ElDorado National (Kansas), Inc.; which combined represent one of the largest producers of transit and shuttle buses in North America with bus segment sales of approximately $450 million for the fiscal year ended July 31, 2013. Thor acquired the assets of innovative RV maker Livin' Lite through a wholly owned subsidiary. Livin' Lite is known for its advanced lightweight aluminum construction applied to a variety of smaller RVs, including travel trailers, toy haulers, camping trailers and truck campers. Thor's subsidiary, Thor Wakarusa, LLC, purchased the RV production campus in Wakarusa, Indiana that was formerly operated by Navistar International Corporation. The facilities are comprised of nearly one million square feet of total production space located on more than 150 acres. In addition to the production space, the complex includes more than 35 paint booths designed specifically for painting RVs. The campus was purchased to support the ongoing growth of Thor's businesses. Thor acquired K-Z, Inc. a leading manufacturer and marketer of towable recreational vehicles that offers unmatched quality and value to consumers in North America. K-Z markets a comprehensive product line, which includes travel trailers, fifth wheels and toy haulers. In January 2015, Thor announced that its Heartland subsidiary acquired towable RV maker Cruiser RV (CRV) and luxury fifth wheel maker DRV Luxury Suites, both based in Howe, Indiana. Thor acquired Elkhart, Indiana-based Postle Aluminum Co. Founded in 1974, Postle produces extruded aluminum and specialized components for the RV industry and other industries, with a commitment to each customer in providing the highest-quality products and exceptional service. In June 2016, Thor acquired Jayco, which includes strong subsidiaries such as Jayco, Starcraft RV, Highland Ridge and Entegra Coach, including brands like Jay Flight, the number-one selling travel trailer for the past 14 years. Jayco is based in Northern Indiana, with additional facilities in Idaho. Thor Industries, Inc. has completed its acquisition of Erwin Hymer Group (EHG), one of Europe's largest makers of recreational vehicles (RVs). 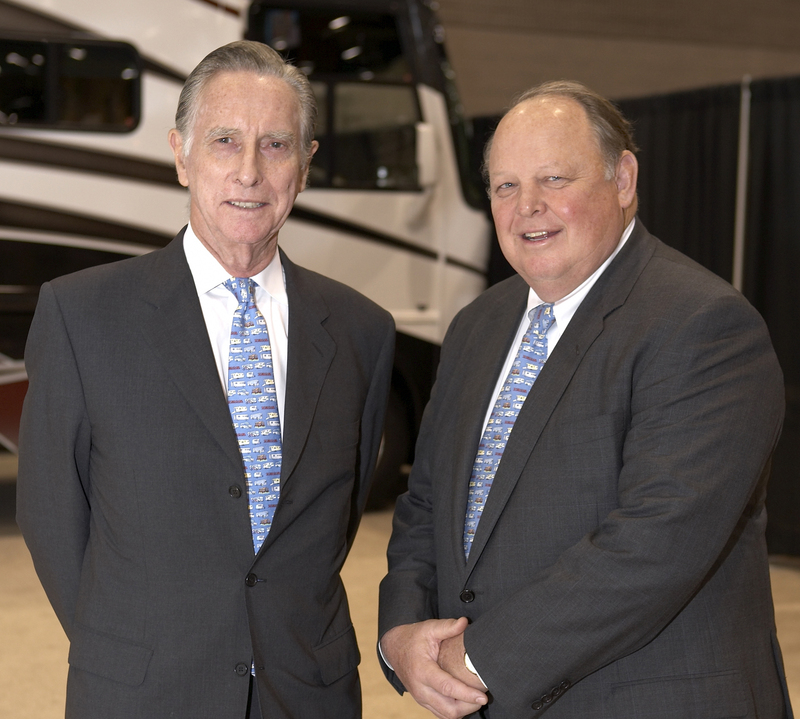 The acquisition is consistent with Thor's long-term strategic growth plan, and the combination of Thor and EHG creates the world's largest RV manufacturer, with leading positions in both North America and Europe.